Infection control and prevention is a global issue. 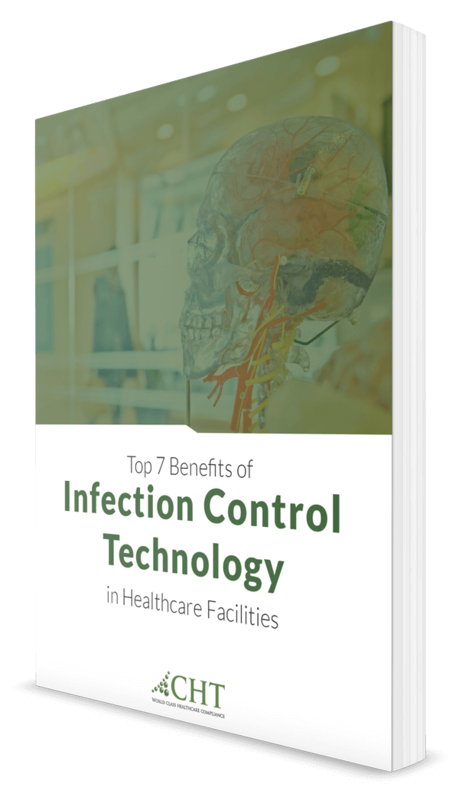 Thought-out and proven strategies are a vital driver of successful infection control in healthcare facilities. Evolving technologies help control the spread of disease and help minimize HAIs. There are tremendous benefits when a facility takes the necessary steps to prevent the spread of infectious diseases. As healthcare facility managers, our goal is to keep patients safe and be on the lookout for technology factors that will enhance facilities. 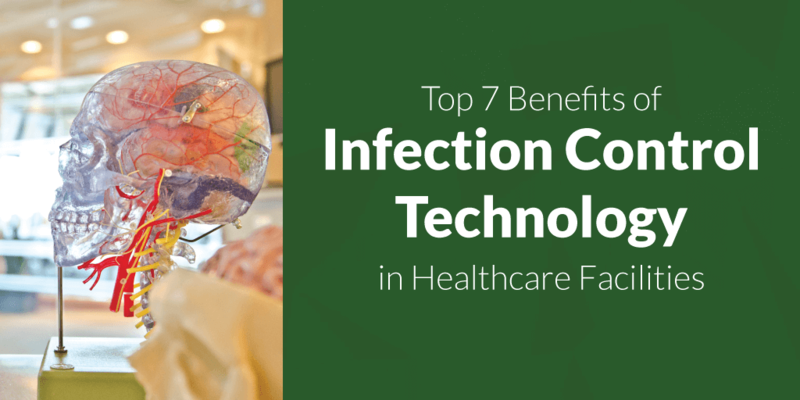 We gathered the top 7 benefits of infection control technology for your environment and facility. Infection detecting devices are at the forefront of this issue. A procalcitonin test (PCT) is the best-studied sepsis biological marker and an example of detection technology at its finest. Sepsis is more common in the elderly and newborns. High levels of procalcitonin are a good indicator of or can suggest a risk of sepsis (a strong reaction to a bacterial infection that spreads via the bloodstream). This test measures the level of procalcitonin in the blood, as PCT is highly specific to bacterial infection. The PCT tests are cost-effective and play a key role in treating sepsis once diagnosed. It is a great benefit for the patient, and cost efficient for hospitals that otherwise, may result in extended hospital stays. On another level, other technologies take the lead in reducing sepsis. Sepsis can progress rapidly so early detection and treatment is critical to a patient's outcome. Ascom, a global solutions provider, focused on healthcare ICT, built the Ascom Healthcare Platform software that supplies a wealth of information from patient-room equipment. Hospital staff can quickly assess incoming alarm notifications from a patient when speed and timing is critical. "It lets users securely access, interact with, and share information from devices, patients, machines, colleagues, and enterprise communication systems." Watch below as the Ascom Myco 2 phone brings together data and alerts from EMR, Nurse Call, Patient Monitoring and other systems in one intuitive smart device. In a 2016 study conducted by Sepsis Alliance News, the annual cost of hospital treatment of sepsis has grown by $3.4 billion. A test or workflow with intelligent sharing is essential for reducing sepsis complications and costs. Innovations in technology have led to a shift towards minimally invasive procedures. This is excellent news for a patient because there are fewer risks associated with this type of surgery. Surgery done through smaller incisions is typically considered safer. As a result, there is a growing number of spinal non-fusion procedures because of the beneficial outcomes for patients. Streamlined operations provide better care to patients. Better surgical care equals lower complications. Lower complications equates to lower rates of infection. Another prime example is the robotic surgical system - da Vinci® Surgical System, it allows surgeons enhanced visualization, the ability to make smaller incisions and have more control and precision. The patient benefits with faster recovery time and lower risk of infection. For infection control objectives to work best, healthcare facilities need to coordinate with other departments. An EHR (electronic health record) is a real-time, digital version of a patient's record. Athena health states, "Electronic health records have been proven to improve workflow and patient care." In their annual survey, Physician Sentiment Index (PSI) and Sermo discovered that, "81% of physicians said they believe EHRs improve access to clinical data. More than two-thirds said an EHR can actually improve patient care." Athena health offers healthcare IT services for medical groups. They believe the EHR keeps the focus on patient care. Virtual reality technology will allow experts to test out a space and see if it is conducive to the prevention of infection. As we design the hospitals of tomorrow, these evolving technologies can help guide us with the necessary layouts and modifications. A great example would be to examine the layout of hand hygiene. Is the space you are considering, conducive to healthy hand hygiene? This type of sanitation plays directly into a facilities ability to prevent infections. Up to 69% of hospital-acquired infections are preventable through known quality measures; specifically better cleaning hand hygiene. Proven information technology such as RTLS can improve facilities for both patients and staff. Hospital-acquired infections are a constant threat to healthcare facilities. Centrak Security Solutions offers "the ability to keep a watchful eye on hand hygiene compliance and the ability to create contact tracing reports based on knowing when and which staff members and patients have come into contact with an infected person or asset." They go on to explain how keeping track of all of a patient's movements and contacts can create a database of valuable information. According to Centrak, "In the event of an infectious outbreak, it is important to be able to trace every person or entity that has potentially come in contact with the disease. Patient tracking systems collect data that can be used retroactively to track the spread of disease within the facility." Managing facility-wide infection outbreaks is critical. With the potential for disease, medical scope management can help track usage, cleaning and storage. This helps prevent infection and reduces medical scope damage. Management like this will instantly alert staff of a missed sterilization process at any given point. In a recent article written by Chad Terhune of Kaiser Health News, "hospitals and device makers still struggle to rid medical scopes of infectious bacteria...71% of reusable medical scopes [that are] deemed ready for use on patients tested positive for bacteria." Infections can pass from one patient to the next if not adequately cleaned. A presentation conducted by Mary Ann Drosnock, Manager; Clinical Education for Gastroenterology, and Steve Kovach, Director of Education; Healthmark Industries discuss tools and challenges of testing verification. Training of staff is critical. Every facility needs to adopt a policy that is right and helps them stay within compliance and standards. Jim Gauthier, senior clinical advisor of infection prevention at Diversey, clearly states the fact that environment plays a role in the spread of infection. He conveys, "it is estimated that 20-40% of HAIs result from transmission of pathogens by a healthcare worker after touching another patient or a contaminated surface." [source] Becker's Hospital Review, The power of light: How hospitals can harness UV energy to reduce HAIs. Ultraviolet-C (UV-C) programs can help eliminate bacteria that manual processes may miss. Healthcare environments are adding UV-C programs due to the inconsistency of manual cleaning, and antibiotic organisms are becoming more resistant and surviving on surfaces much longer. According to an article written by the American Journal of Infection Control, it is an ongoing battle against health-acquired infections. This has led to the widespread acceptance there is a direct need for both manual/traditional cleaning and a secondary procedure/technology. UV-C technology may be the answer. The last article covers the process to implement UV disinfection in a hospital and using the technology on a day-to-day basis. Hospital-acquired infections have decreased each year since implementation. Technological advancements and innovations will help healthcare facilities improve preparedness and reduce infectious disease outbreaks. CHT can provide innovative technology to help healthcare facilities start to control and manage their medical gas systems. This, in turn, will ensure your healthcare compliance.